(1) There shall be 36 states in Nigeria, that is to say, Abia, Adamawa, Akwa Ibom, Anambra, Bauchi, Bayelsa, Benue, Borno, Cross River, Delta, Ebonyi, Edo, Ekiti, Enugu, Gombe, Imo, Jigawa, Kaduna, Kano, Katsina, Kebbi, Kogi, Kwara, Lagos, Nasarawa, Niger, Ogun, Ondo, Osun, Oyo, Plateau, Rivers, Sokoto, Taraba, Yobe and Zamfara. 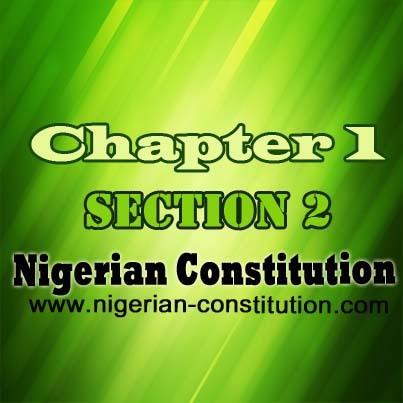 (2) Each state of Nigeria, named in the first column of Part I of the First Schedule to this Constitution, shall consist of the area shown opposite thereto in the second column of that Schedule. (3) The headquarters of the Governor of each State shall be known as the Capital City of that State as shown in the third column of the said Part I of the First Schedule opposite the State named in the first column thereof. 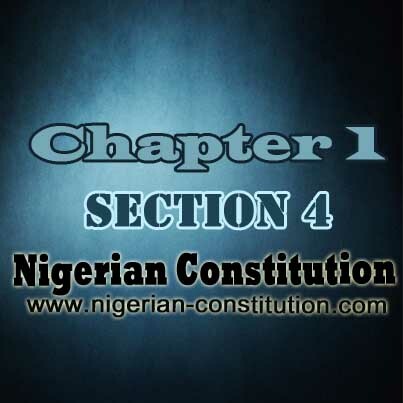 (4) The Federal Capital Territory, Abuja, shall be as defined in Part II of the First Scheduled to this Constitution. 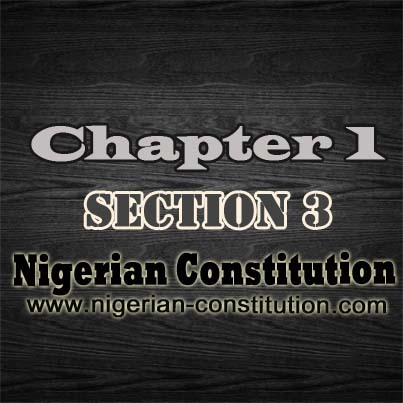 (5) The provisions of this Constitution in Part I of Chapter VIII hereof shall in relation to the Federal Capital Territory, Abuja, have effect in the manner set out thereunder. 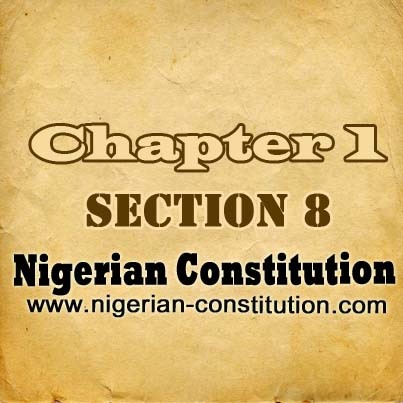 (6) There shall be 768 Local Government Areas in Nigeria as shown in the second column of Part I of the First Schedule to this Constitution and six area councils as shown in Part II of that Schedule. Chapter 1. Part 1. Section 1. 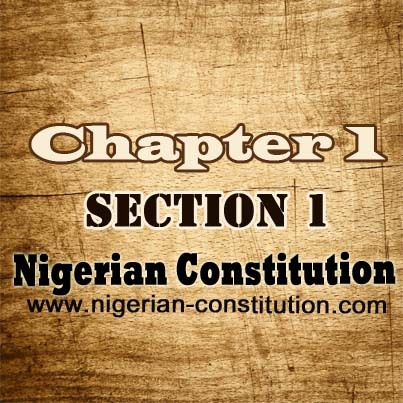 Supremacy Of Constitution Chapter 1. Part 1. Section 2. Federal Republic Of Nigeria Chapter 1. Part 2. Section 4. Legislative Powers Chapter 1. Part 2. Section 8. New States And Boundary Adjustment, etc.